So. I played about 4.5 hours today, and managed to catch 10 shiny Lotad and 7 (well, actually 8 but that 8th one was caught at 7.59 pm and of course turned to be normal when I checked it right after since it was 8 pm) Castforms. So not too bad of an event. I also caught a 100% IV Lotad. That’s what I like about those RD event, you always get good IV ones, unlike CD. I’m so glad I finally completed the 5 great curves in a row for Spinda the other night, so I have all spots open for this event. I’m wondering how the hell did you get 10 Shiny Lotad. I must have done 60+ Researches and have yet to get my first shiny Lotad. Does anyone know where I can find the tasks for the event? They should be just about everywhere. Spin a Stop to receive and make sure you have empty slots in your Research Tab to receive them. 3 shiny lotad, no shiny castform after probably ~80 catches/checks. Little bit dissapointed about that but oh well. maybe my gotcha catches one in the next 90 minutes. Really like that it runs for this long. started at 17:00 (5 PM) and still plently of time to get what you need. At GOHUBs website ofcourse. Where else? Well, I did a lot more than 60 research tasks. I played for 4.5 hours, and there was a lot of pokestops to spin, but I did walk a lot. That was exactly what I did do, too. Ended up doing like 120 Researches but only got 3 Shiny Lotad. I completed 3 tasks and got 3 regular Lotads. I still have 3 tasks left to complete in my queue. Got 2 Shiny Castforms though. My son got 3. 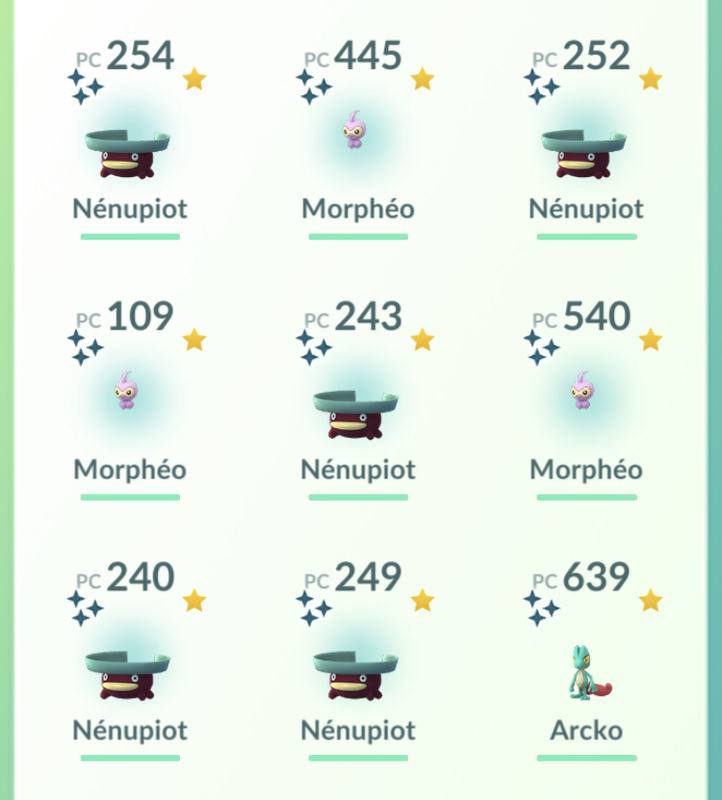 But no Shiny Lotads yet. He has 2 tasks to complete. Only played for a couple of hours but managed to get these shinies & a normal 100% Lotad. got 16 shiny lotad and she got 13. 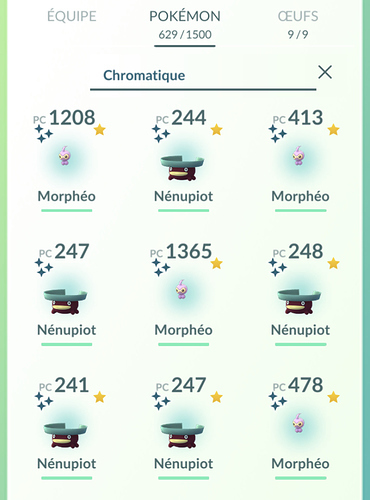 Also another 19 and 27 shiny castform for us. Insane day with a total of 75 shinies on 2 accounts. 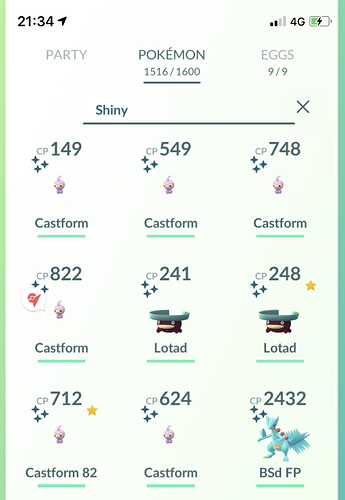 I’m happy to have 1 Lotad shiny and 1 Castform shiny… is that insane as well?